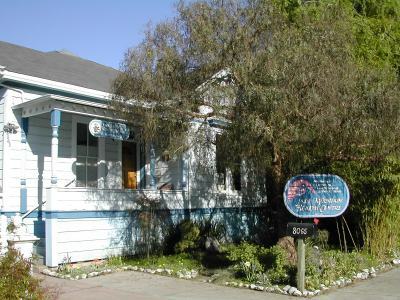 Our clinic is located in Aptos, in Santa Cruz County, on the central California coast. Our goal is to treat holistically, and to not separate the symptom from the patient in whom it occurs. We do not approach disease as an isolated event that is disconnected from a person's life; instead, we see it as a meaningful distress signal that can guide us in regaining harmony and balance on our journey. Through accepting responsibility to the illness, not for the illness, treatment can be directed to deeper levels, creating an opportunity for growth and transformation. Steeped in the ancient Chinese understanding of ch'i, or life energy, we see the physical body, emotions, mind, and spirit as an interrelated unity, with each level addressed where appropriate. Rather than regarding health merely as the absence of disease, we hold a positive vision of wellness based on the traditional teaching that health arises from living in harmony with the laws of nature, including one's own inner nature. You can read more about our healing modalities and practitioners on our Practitioners page. ©2011-2013 Jade Mountain Enterprises, LLC. All rights reserved Archetypal Acupuncture is a trademark of Gary Dolowich.